The Student Budget Planner is part of a financial planning series called How to Make a Budget – Easy Steps for Beginners. Not a student? Then head on over to the Free Budget Spreadsheet to get your budget buzzing without all the textbook costs and tuition fees. Feel free to pass this post on if you know a student. The hardest part about being a student is, well, the student part. Being a student means you likely have very little money, a whole lot of expenses, and a bunch of pressure to get great grades. If you’re about to graduate then you’re probably pounding the pavement looking for one of those job thingies to help pay off your student loan. Been there. Done that. It’s no secret that heading off to college or university ain’t cheap. With tuition starting at around $6,500 per year for a Canadian university education and reaching $38,300 for an American education at Yale (cough), you’d better add up your dollars and count your pennies if you still want to eat. Oh, and then there’s the cost of textbooks, room & board, and school supplies too. When your pocketbook is feeling the pinch and you don’t want to get schooled by the costs of higher education, it’s time to get on side with the Student Budget Planner. What is a student budget? A student budget can be viewed as either a smart way to get savvy about finances, or a cruel introduction to the costs of being an adult. You pick. But from my own experience of living in a student slum with cockroaches and Kraft Dinner, I think it makes good financial sense to become smarter about your money sooner — especially when you’re spending student loan cash. A student budget is a financial plan for tracking the flow of money into and out of your life. A student budget lets you identify the costs of your education, plan ahead for a shortfall, and see ways to save more of that borrowed dough for the stuff that matters — like tuition. 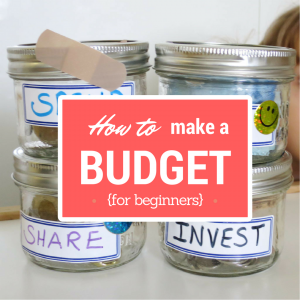 A budget can also highlight the spending habits you’re not aware of and help you better plan for future spending. The hard part is getting started. After a bit of practice though budgeting gets easier. Oh, and making a budget is so much easier than the final exam for third year Calculus. (I aced it BTW). Budget by month: Starting in the summer months, list your summer job income and track your expenses. 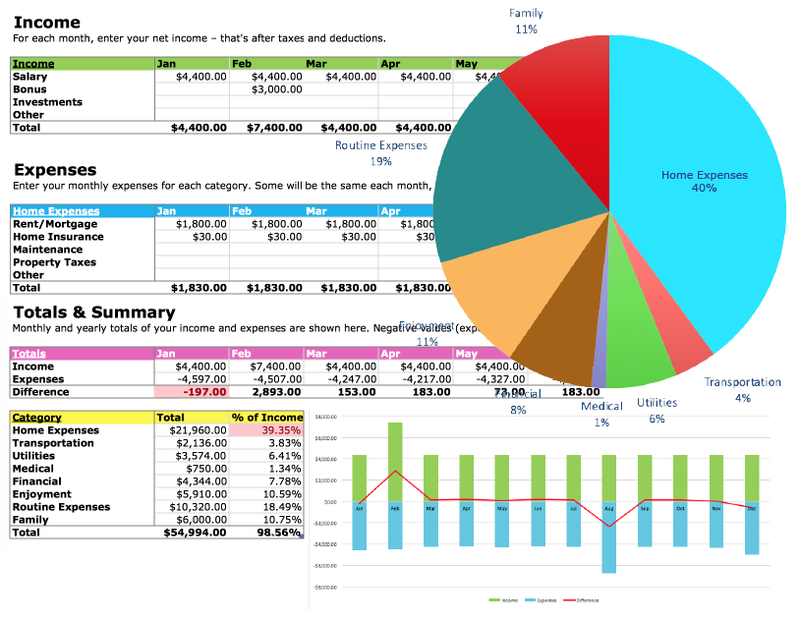 The budget planner will tally your monthly averages. Yearly budgeting: Get an annual snapshot of your total student costs by entering your monthly budget details. Account for when the big expenses are due, like tuition. Yearly totals are listed below. 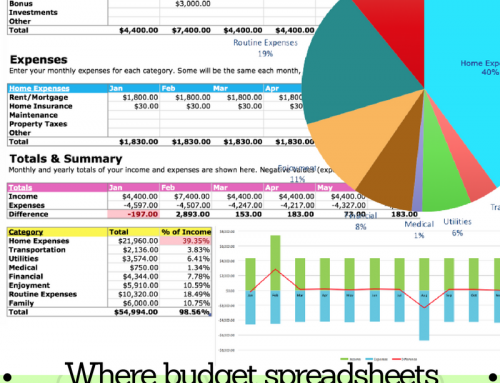 Customize like crazy: Go ahead and customize this Excel spreadsheet by adding your own categories. Every school and program is a little different, so add or remove as needed. 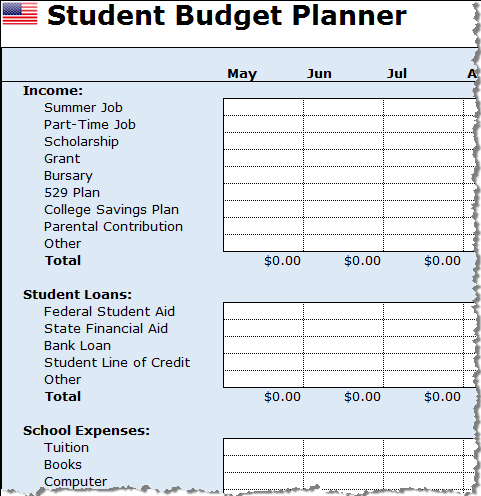 Click to download the American Student Budget Planner or the Canadian Student Budget Planner. If you’re an international student living elsewhere, just customize the spreadsheet to suit your scholastic needs. Get a notebook or use your phone. Place a small notebook and pen in your book bag OR carry an iPhone, iPad, or iWhatever with you. Write it down: You can take notes right? Every time you spend money, write it down. Make a note of each and every purchase (grocery, tuition, school supplies) and add the date. Ask for a receipt. Add it up: Tally your expenses during the month and add them to the Student Budget Planner under the right category. See where your money is really going. Results may shock you. Income: Enter your summer job income, part-time job money, and all scholarships, grants, bursaries, and parental contributions. 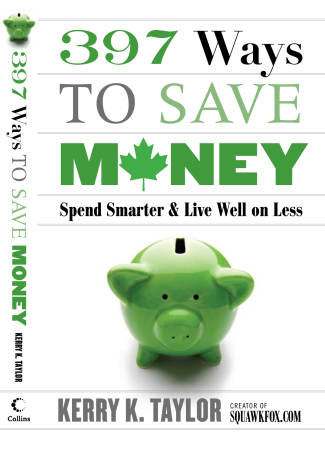 If you have an RESP (Canada) or a 529 Plan (United States) then account for that cash too. This should be money you have either saved or earned and don’t have to pay back, hopefully. Student Loans: If you have student loans, then enter that borrowed money here. If not, then consider yourself a rare breed of student. Kudos. School Expenses: Tally all of your tuition, textbook costs, program supplies, and student fees in this column. Your program may have some extra costs, so add those too. Room and Board: Whether you’re living on campus in a dorm or residence, or you’re living in a shack off-campus, be sure to add those monthly or semester costs in this section. Some students have a meal plan, others may have to shop for groceries — just don’t forget to add your food costs. Need a bed or desk? Yep, that’s going to cost cash too. Moving to/from Campus: If you’re going away to school, then you need to budget your arrival and departure. Renting a truck to get your gear to school ain’t cheap. Transportation: How are you getting to campus every day? Add your car, bus pass, or bicycle costs too. Going home for the holidays? Be sure to account for flights or other costs to get you home. Utilities: Talk ain’t cheap, and neither is texting your friends for the latest homework assignment on your cell. List all your phone, internet, and other utility expenses too. 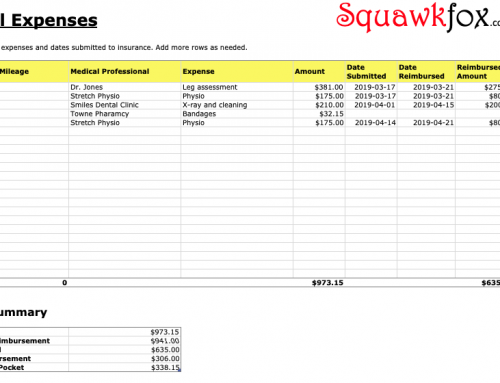 Medical: Glasses, contacts, and other prescriptions need to be included in your student budget. Don’t forget about your health insurance! Financial: As a student you should ask for a fee-free bank account and credit card. But credit card interest is a killer — so pay off that plastic promptly. Campus Fun Stuff: Being a student means kicking back and having some fun. This part of your budget is for the fun stuff — like beer. Family: If you have kids then you have some additional costs. Be sure to consider childcare and the additional family costs of being a student and parent. This is a big list and I don’t want you to feel overwhelmed since being a student can be challenging enough. 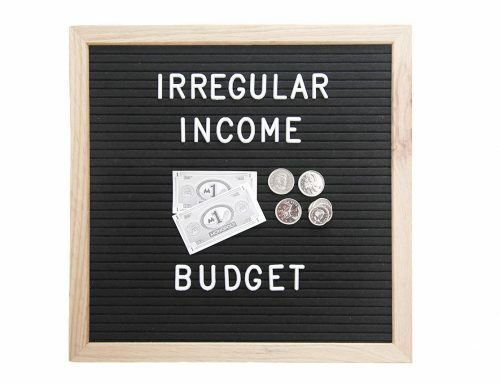 I made this budgeting list long because I didn’t want you to miss a step while away at school. 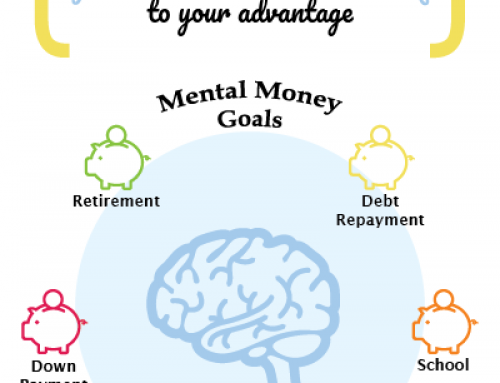 Study hard and budget smart! These are great tips for college students. But here is the deal, most college kids don’t care about spending their loan money. I was in the same situation and thinking this is free money. A better solution is to apply as much grants and scholarship as possible! This is awesome!!! but for some reason it doesn’t download properly (USA version). Any ideas why? Thank you! Same problem here for the Canadian version, download is not working properly (regular budget spreadsheet downloads fine). @Laura @Jones Hey you two troubled spreadsheet downloaders! This may solve the trouble: Right-Click the download link and select Save Link As, saving the spreadsheet to your desktop. Then open the saved document in Excel. Please let me know if that works! @ Fox – it seems to download okay, and save okay — but when opened there doesn’t appear to be any spreadsheet (except when I go to Print Preview) Weird huh! It kind of looks like when you open up Excel and x out any spreadsheet — just a blank background. I’m a long time subscriber, but this is my first time commenting on your blog. 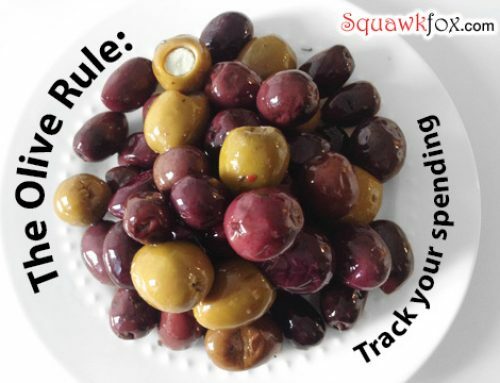 This is a really great way for students to get on top of their expenses. Thanks a lot! I’m from Ireland but I’ve been teaching in China for almost 3 years now (left right after I graduated debt-free(\^v^/) thanks to: government grant+part-time job+amazing, wonderful, fantastic parents… just in case they read this ^^,). I’ve always tried to live quite frugally here, and also the cost of living is low (and my wages are high when compared to the average wage), and I get a rent subsidy from my company (my apartment is a bit on the expensive side for here). However, I’ve been thinking of going back to Ireland for graduate school. I’ve about $12,000 in savings right now, the college term is one year (September 2012-Sept 2013), the total school fees are $9488 and rent per month would be about $412. I still have 5 months of work to go, so potentially I’ll have an extra $7,900 and my company will pay for my flight home (Woohoo!!!). In your squawky foxy opinion, is going back to school a financially-viable option right now or should I invest my savings another way? The job market in Ireland is not so good, so I'm not guaranteed even a part-time job, but my major will allow me to work home and/or abroad in the future.